Here at Masterflex, we are getting ready to enjoy the long weekend. Relaxing, eating Easter treats and visiting family and friends is something we are all looking forward to. Have you got any plans? Maybe an Easter egg hunt, baking, or time away for a couple of days? 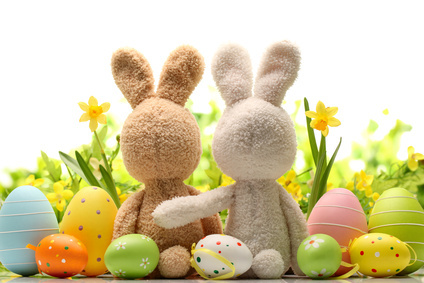 Don’t forget Masterflex will be closed Good Friday and Easter Monday, but open as normal from Tuesday 5th April. This entry was posted in Automotive - Motor sports / F1 / Boats / Rail, Chemical - food & pharmaceutical, Environmental, HVAC - Heating, Ventilation and Air Conditioning, Microbe & Hydrolysis-Resistant Hoses, Paper, Printing and Packaging, Uncategorized, Woodworking Industry and tagged abrasion resistant hose, air and ventilation hose, Chemical Ducting Fume Extraction, DUCTING, Ducting Connecting Systems, Ducting Exhaust Extraction, Ducting PU Hose, ductings, Dust extraction hose, dust extraction hoses, Dust Extraxction Ductings, Exhaust Extraction Ductings, Exhaust Extraction Hose, exhaust fumes removal, flexi ducting, Flexi Ducting Hose, Flexi ductings, flexi hose, Flexi Hoses, Flexible ducting, flexible ductings, Flexible hose, Flexible Hose Polyurethane Ducting, flexible hoses, FlexiHose, Fume Extraction Ductings, Fume Extraction hose, High temperature ducting, High Temperature Ductings, High temperature hose, High Temperature hoses, hose, hoses, Masterflex technical hose ltd, Masterflex technical hoses ltd, Polyurethane ducting, polyurethane ductings, Polyurethane hose, polyurethane hoses, PTFE Ducting, PTFE Ductings, PTFE Hose, PTFE Hoses, PU DUCTING, PU ductings, PU hose, PU hoses, PUR hose, PVC ducting, PVC ductings, PVC Flexible Ducting, PVC Flexible Ductings, PVC hose, PVC hoses, Silicone Ducting, silicone ductings, Silicone Hose, silicone hoses, suction and transport hose, templine Heated Hoses, Weld Fume Extraction, Weld Fume Extraction Hose. Bookmark the permalink.